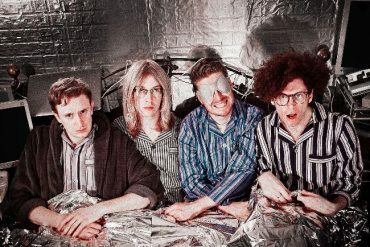 Asylums have a video their new banger of a single Necessary Appliances, taken from their forthcoming debut album Killer Brain Waves, out on July 29th via Cool Thing Records. Necessary Appliances once more showcases their unique blend of British guitar music and American power pop. While their previous singles, Missing Persons and Joy In A Small Wage, gave me proper Motion City Soundtrack vibes, the new single has a lot of Weezer in it. 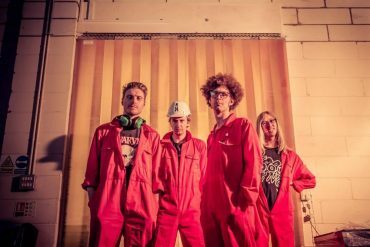 Although Asylums only started out in December 2014, they have already appeared at Glastonbury and The Great Escape, and toured the UK supporting Killing Joke, Ash, Turbowolf, Mini Mansions and The Vaselines. Their debut album Killer Brain Waves will be releasedon July 29th via Cool Thing Records.. It was recorded by Thomas Mitchener (Frank Carter and The Rattlesnakes bassist), and features tracks mixed by Chris Sheldon (Foo Fighters, Drenge, Bloc Party). Asylums have announced a run of UK headline and festival shows. Tour dates can be found below. 6th May – Cool Thing Records Club Night, The Railway Hotel, Southend. Necessary Appliances is out via Cool Thing Records on April 29th.